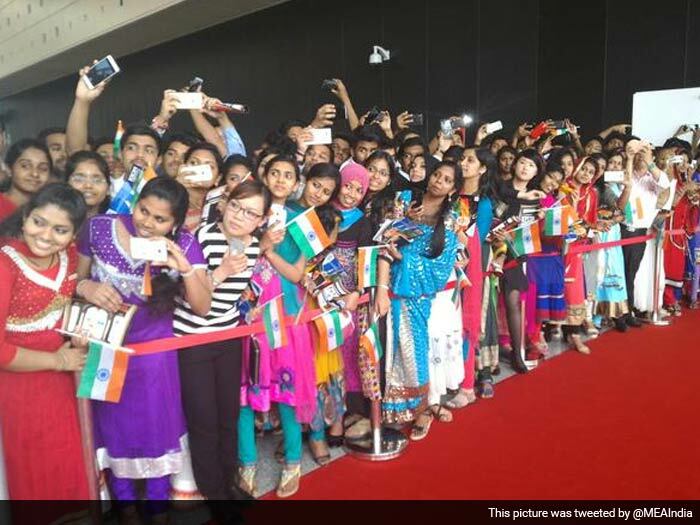 Nearly 5000 people have gathered at the ICBS Expo Centre; they have traveled from other Chinese cities to welcome the Prime Minister. The Indian Consulate in Shanghai estimates that around 4,000 Indian nationals live in the city, known as China's business capital, with another 4,000 in two neighbouring provinces. 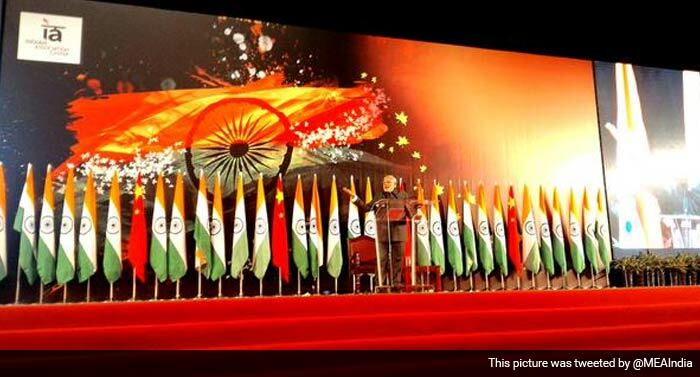 A year after his enormous victory in the national election, Prime Minister Narendra Modi spoke to a huge crowd of cheering Indians in Shanghai, and reflected on his government's term. 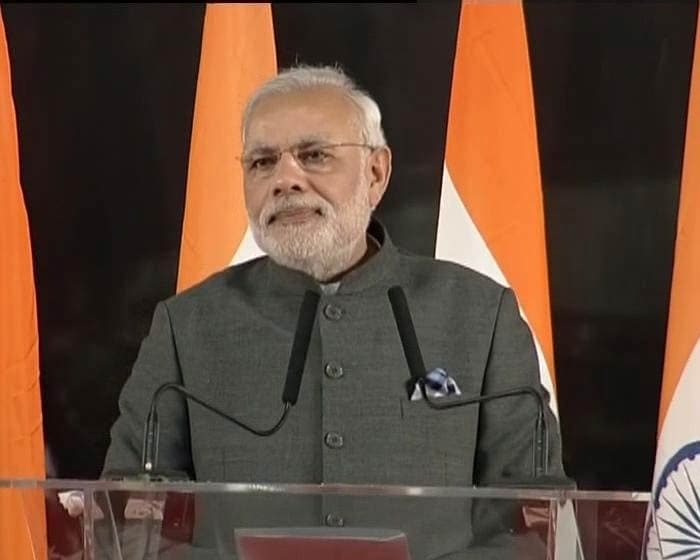 "Just a year ago, you would have been eager to know the results of the elections in India," he said, referring to May 16, 2014. "The time is changing at a fast pace. Nobody would have wondered, that in China, so many Indian citizens will be living a peaceful, happy life," the PM said in his speech. 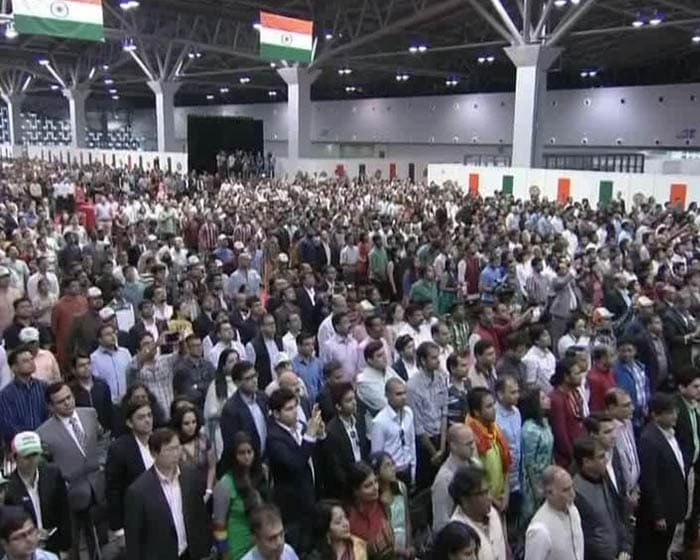 Nearly 5000 people gathered at the ICBS Expo Centre; they traveled from other Chinese cities to welcome the Prime Minister. The Indian Consulate in Shanghai estimates that around 4,000 Indian nationals live in the city, known as China's business capital, with another 4,000 in two neighbouring provinces. 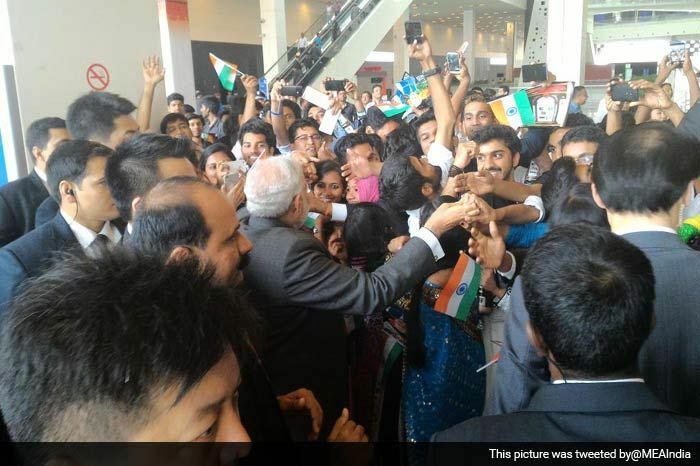 PM Narendra Modi arrives for the Indian Community Reception at ICBC World Expo Exhibition & Convention Centre. Expectation and anticipation in the air as PM Modi arrives at the ICBS Expo Centre to address the Indian community reception in Shanghai.